Same day appointments and walk in patients welcome! At More MD, patients receive exceptional primary and internal medicine care in the practice’s four state-of-the-art locations in Surprise, Prescott, and Lake Havasu, Arizona. Raghav Mohindra, MD, John Moran, MD, Paul Yoder, MD, and the rest of the caring medical team welcome all family members over the age of 16. The team at More MD encourages patients to take active roles in their health. Practitioners spend time educating patients about their health and, if needed, how to manage chronic conditions. This patient-centric focus allows patients to make educated decisions about their health care and improve the quality of their lives. As a full-service primary care practice, patients can keep all of their medical records under one roof at More MD. 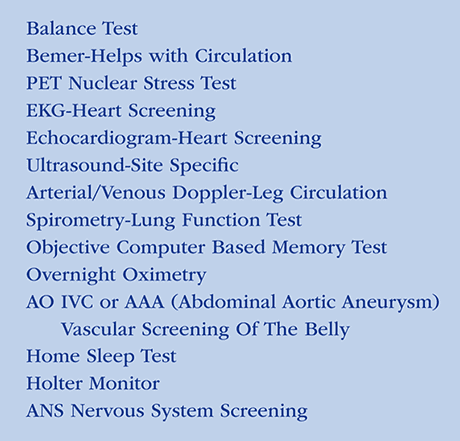 The practice even has an in-house laboratory for faster diagnostic services. Team members regularly care for patients who have hypertension, high blood cholesterol, and asthma, among other chronic ailments. Practitioners can even diagnose allergies right on-site, so patients can quickly find out which allergies they have and how to manage them. More MD offers flexible scheduling throughout the week for annual checkups — even for new patients. The caring team also offer same-day scheduling for urgent care needs. On April 8th (Monday) We are moving all Prescott locations to our brand new beautiful 20 room office.